PÜR products are clinically formulated to deliver better-looking skin in 60 seconds and healthier skin in 60 days. Get amazing results in two easy steps. At PÜR, we like to describe our mineral makeup as "makeup with a purpose." All products are formulated with good-for-your-skin ingredients that not only help cover skin imperfections but also help correct its overall appearance. Our proprietary Ceretin Complex combines age-defying Retinol with super-hydrating Ceramides for better skin over time. 100% pure shea butter improves texture and skin tone. SPF is included for vital UV protection whenever possible. Many products feature Vitamin C and Waltheria Extract for a brighter complexion and more even skin tone. Finally, we pack all of our formulas with key antioxidants, vitamins and minerals for skin health. 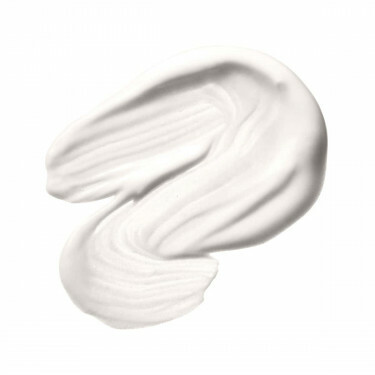 All products are formulated with good-for-your-skin ingredients. At PÜR, we believe that innovative beauty shouldn't be a burden on anyone. That's why we've been committed to creating cruelty-free products from the start. All of our good-for-your-skin makeup and skincare products are completely free of animal testing. Eco-conscious users can also breathe easy knowing that PÜR is an eco-friendly brand committed to minimizing waste and using responsibly sourced ingredients, including those carrying our Farm to Jar™ Label. Parabens are chemicals that can be found in many beauty products and deodorant because they give products a longer shelf life. However, because these chemicals are believed to be linked to cancer, many of our products are paraben-free. Veganism is an ever-growing lifestyle making vegan-friendly products like skincare and makeup more popular than ever. Many of our products are vegan-friendly (ALL are cruelty-free), so you can now choose from a selection of products that are good for your skin and don't contain any animal products. Many of our products are gluten-free. That's right, gluten isn't just found in food. It can be used as a binding agent in cosmetics. We offer a wide variety of gluten-free products because research has shown it can trigger celiac disease symptoms. Bisphenol A (BPA) is a toxin that is commonly found in plastic products and has been known to leach its toxins into water. To stay on the safe side, all of our products are BPA-free. Alcohol and talc can dry out and damage the skin, so many of our products are alcohol-free and talc-free too. Bringing our story to life to celebrate women and men of all ages and skin tones. Makeup, meet skincare. Our cult-classic 4-in-1 Pressed Makeup remains our #1 selling product. Innovative color products keep the pro artists and influencers coming back for more.